Marcus E. Anderson Sr.'s Blog - Allied Mortgage Group, Inc. 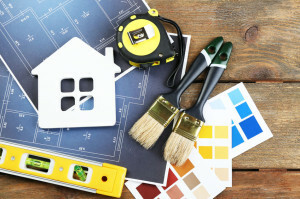 Which remodeling projects are the best investments? Which renovation projects provide the biggest return on your investment when it comes time to sell your home? You can get a pretty good idea of which upgrades offer a better ROI than others by taking a look at Remodeling Magazine’s Cost Vs. Value Report. The report shows, on average, how much of the cost of 21 popular remodeling projects you may be able to recoup when a property is sold. Data is available on a national and regional basis, as well as for cities. The report can help you home in on individual projects that provide the biggest bang for your buck. According to the report, homeowners on average stand to recoup 98.3% of the cost of replacing a garage door, while the installation of a steel entry door returns on average 91.3%. The addition of a wood deck has an average return on investment of nearly 82.8%, followed by minor kitchen remodel (81.1%); siding replacement (76.7%); new vinyl windows (74.3%) and bathroom remodel (70.1%). Some of the most costly projects offer the lowest return on investment, such as the installation of a backyard patio (47.6%) and major kitchen remodel (59%). The report doesn’t take into account, of course, the enjoyment you and members of your family get from the remodeling project while you still live in the home. If you’re planning to stay put in your home for a long time, remodeling might be less about return on investment and more about how much pleasure it brings to your daily life. For more information on the Cost Vs. Value report, go to this link. The appraisal is an important part of the home buying process. But what happens if the appraisal comes up short of the agreed-upon selling price? Here’s an example: A home is listed for sale for $350,000. It’s a multiple bidding situation, so you offer a higher price of $370,000 to gain an edge over other buyers. Your offer is accepted by the seller. 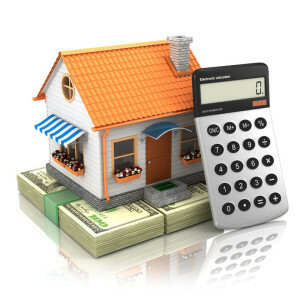 However, your lender’s appraisal comes back and it shows the value of the home is only $350,000. That means the lender is only going to provide you with a loan based on that amount. When an appraisal comes in lower than expected, home buyers have a few choices. If you really want the home and have the cash on hand, you could make up the difference with a larger downpayment. You also could try to negotiate a lower selling price. The seller doesn’t have to lower the selling price, of course, and will understandably be reluctant to do so. In some cases, the buyer and seller each give a little, with the seller lowering the price and the buyer making a larger downpayment. Lastly, if you have an appraisal contingency in your offer, you have the option of walking away. It’s a last-ditch option if all other efforts fail. What does 'as-is' mean when buying a home? You found a home that’s in the right neighborhood and an easy commute to work. The only problem: It’s listed for sale in ‘as-is’ condition. What does that mean? A home that’s being offered for sale in ‘as-is’ condition means that the owner is making no guarantees about the condition of the property and will make no repairs or improvements. It means the price reflects the fact that repairs may be needed. 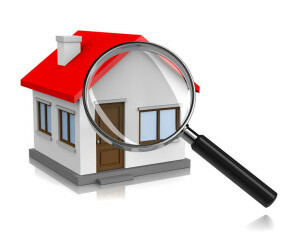 Being listed in ‘as-is’ condition doesn’t necessarily mean there is something wrong with a home. Most bank-owned properties are listed for sale ‘as is,’ but you also may find an individual seller lists a property this way because they can’t afford or don’t want to make repairs to the property. They just want to sell it. While ‘as-is’ condition shouldn’t cause you to rule out a property, this is definitely not the time to skip the home inspection. If you decide to make an offer, you should make it contingent upon an inspection. (That’s good advice when buying any type of home.) Also know that you can still negotiate on price with a property being sold ‘as-is’. Just because a seller isn’t willing to make any repairs, doesn’t necessarily mean they won’t lower the selling price to compensate for what you discover during the inspection process. What are the features you want to see in your next home? The National Association of Realtors recently surveyed home buyers nationwide on the home features that are most important to them. They found that the typical home buyer currently is looking for a three-bedroom, two-bathroom home with a garage and updated kitchen. The study also found that home buying needs and preferences vary by age. According to the survey, family needs were the biggest factor in prioritizing home amenities for home buyers under the age of 55. For many families with small children, for example, features such as the number of bedrooms, school quality and yard size can be important considerations. For those 55 years and older, privacy — having a space solely of their own — was the main goal. In that age group, the number of bedrooms and lot size are not as important for many home buyers. Contemporary and colonial homes were the preference of Millennials, while ranch homes, which typically have a single level and no stairs, are the most popular home style for buyers 55 and older. Lastly, while many home buyers age 55+ are moving from other homes, many Millennials are moving from rentals and purchasing their first homes. In fact, the survey shows that rent increases are driving many Millennials to become homeowners this year. —They come to your home, inventory your belongings and provide an estimate of the cost to move your household. Avoid companies that give estimates over the phone or by email. —They allow you to pay upon delivery. Avoid moving companies that require cash or a large deposit before moving day. —They check out. What is the moving company’s Better Business Bureau rating? Is it a member of the American Moving and Storage Association? Members of AMSA have passed background screening with government authorities at the state or federal level as well as with their Better Business Bureau chapter. They have pledged to adhere to the AMSA Code of Ethics. Ask for references. If you’re thinking of hiring an interstate mover, check their record here. For more tips on hiring a reputable mover and having a successful move, go to this link.